Discover Machu Picchu, go snorkelling in the Galapagos Islands, learn to Tango in Buenos Aires and visit the gateway to Antartica – these five South American tours will bring you to the very heart of this mesmerising continent. I long to go to South America, it is actually at the top of my bucket list right now. 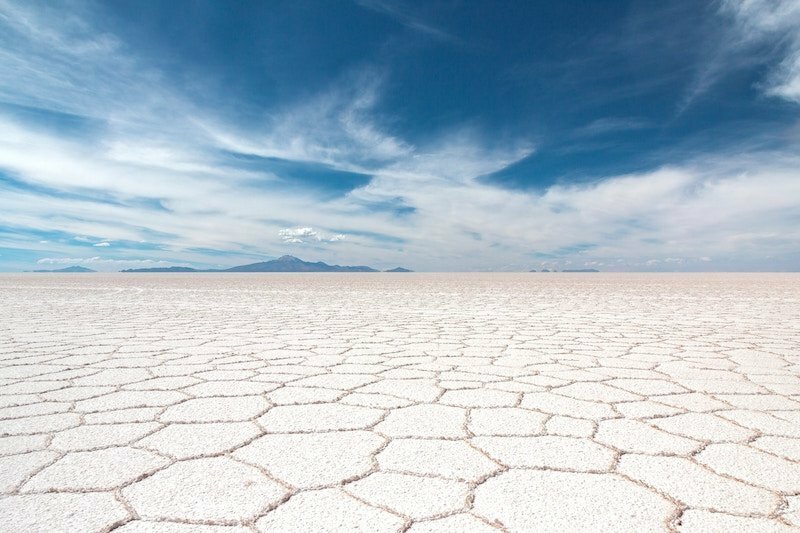 I would love to trek the Inca Trail, spend nights in the Amazon jungle, marvel at the Bolivian Salt Flats and explore the Galapagos Islands. However South America is a destination that is not the easiest to get around independently, which is probably one of the main reasons I haven’t visited yet. I think it is best explored on an Escorted Tour. 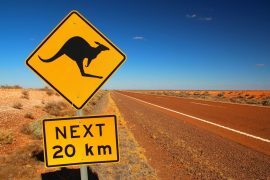 There is no need to worry about language barriers, you can travel from country to country with local guides, and all the planning and organising is done for you. I have teamed up with Tropical Sky who offer a wide selection of South American tours. I love the variety of tours available. 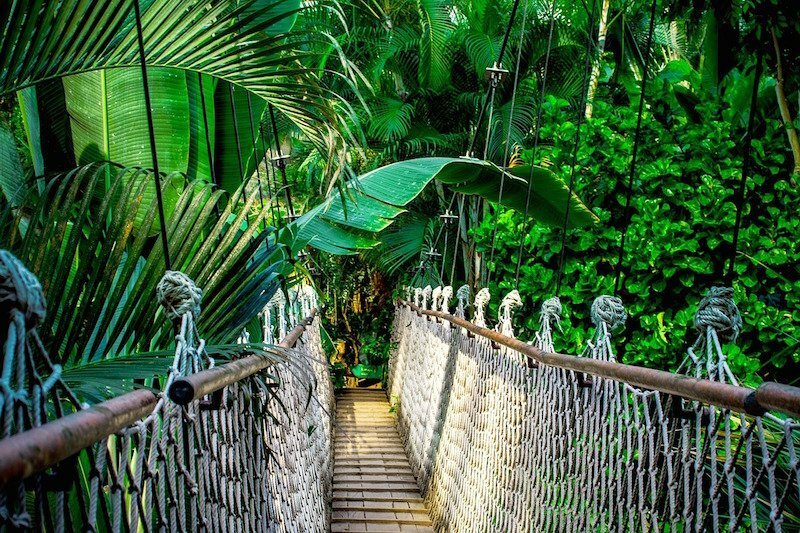 On some of their more adventurous tours you can go on a night walk through the Amazon jungle, hike to the top of the volcano on the Galapagos Islands and trek the Inca Trail. However if you want to take the train to Machu Picchu, relax on the beach in the Galapagos Islands and enjoy tasting Malbec in Buenos Aires, you can do that too. I have chosen some of their top South American tours to give you a flavour of what is available. You can add on extra nights at the start or end of any of these tours or Tropical Sky can arrange bespoke tours to suit your requirements. All tours include international flights, internal flights (there are a few exceptions), accommodation, excursions, selected meals and all transfers. 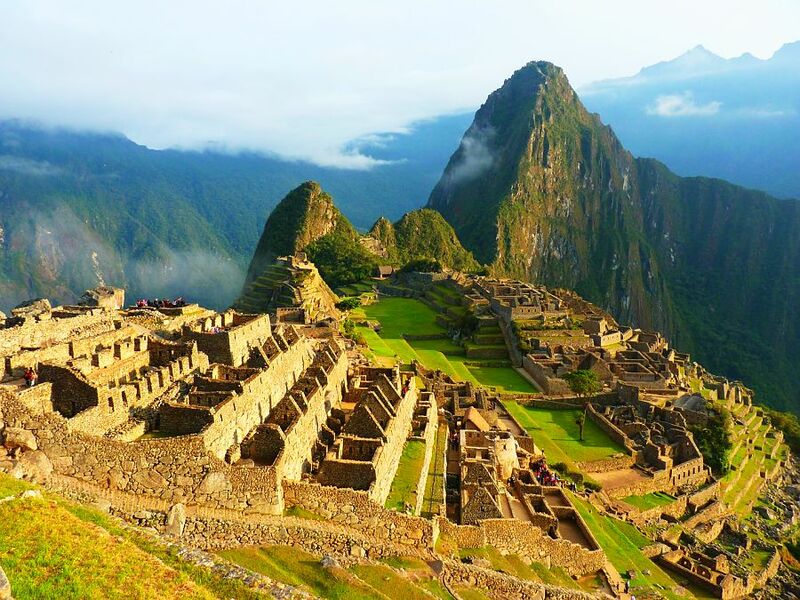 Machu Picchu is the ultimate bucket-list destination. It practically screams adventure. It is not only the top thing to see in Peru but it is arguably the top attraction in South America. That fact that you will watch the sunrise over Machu Picchu was enough to make me want to book this trip, but that is only one of the many magical sights you will witness on this incredible adventure. Discover the white city of Santa Catalina, enjoy city tours of Lima and Cusco and stop in local villages to meet with the charming Peruvian people. Take in the spectacular views of Colca Canyon and hopefully see the magnificent condors, before travelling by motor boat to Uros and Taquile islands, where you will see some stunning views of Lake Titicaca. 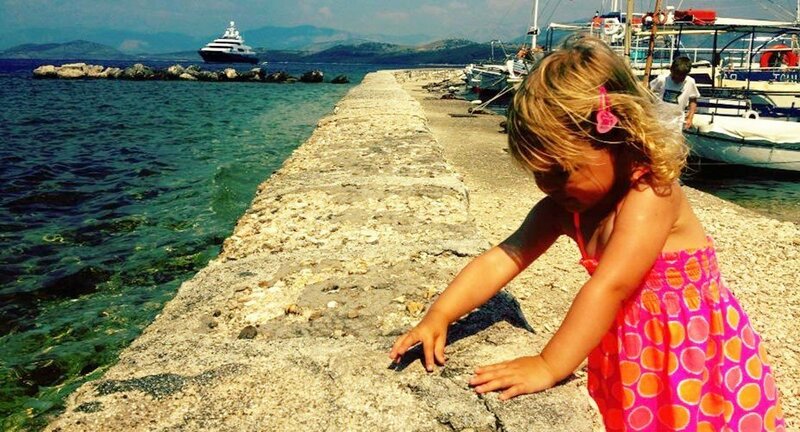 This amazing itinerary doesn’t stop there. You will also get to experience the phenomenal Sacred Valley on a full day tour, before embarking on an incredible adventure through the Amazon. You will fly to Puerto Maldonado for a stay in the Posada Amazonas Eco Lodge. 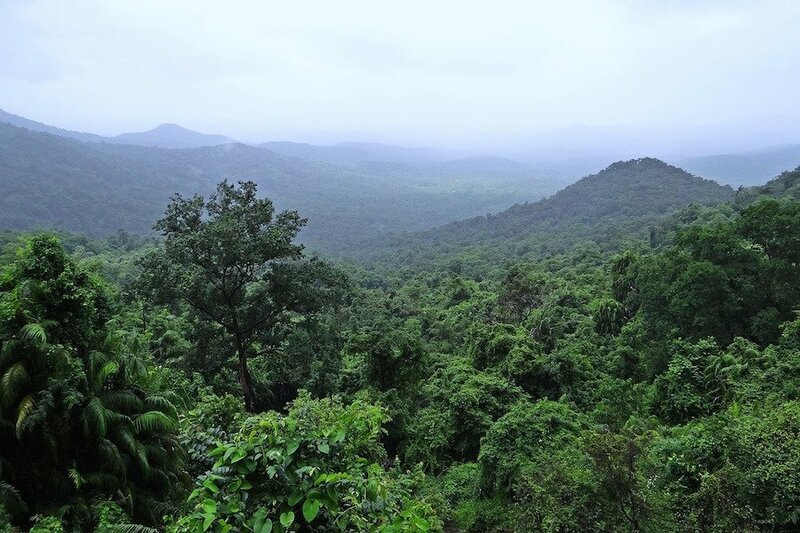 Discover the massive Canopy Tower that offers panoramic views of the Primary Forest Private Reserve, but watch out for the flying parrots or macaws overhead. You will have the option of going on a night walk through the Amazon jungle and enjoying a two-hour Ceiba trail hike the following day. I can almost hear the incredible jungle sounds now…..
Price from €2649 includes all flights, accommodation, transfers, boat trips, trains, excursions as per itinerary, entrance fees, a local English speaking guide, 13 breakfasts, 4 lunches, 2 dinners. 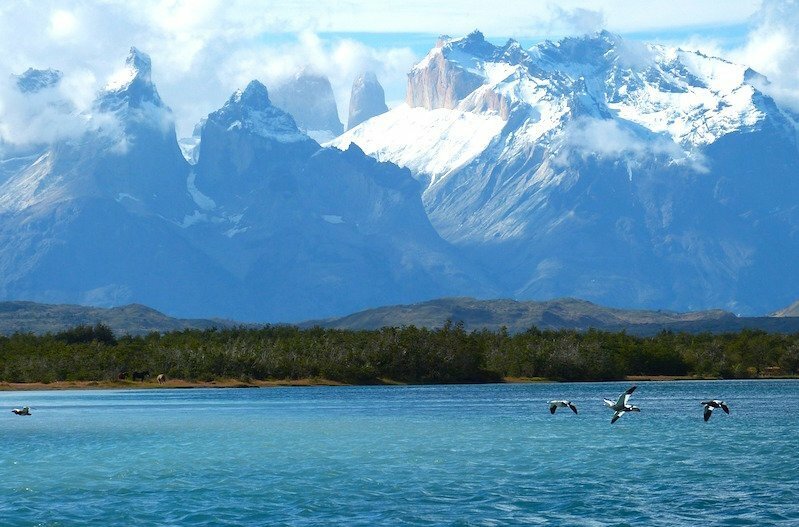 Another incredible South American adventure – this wonderful itinerary brings you the Southern tip of South America to explore the mesmerising sights of Patagonia or ‘ the end of the world’ as it is widely known. You will also enjoy two nights in the passionate city of Buenos Aires. Explore the historic centre and sample some Argentinian angus steak accompanied with a local Malbec – need I say more? 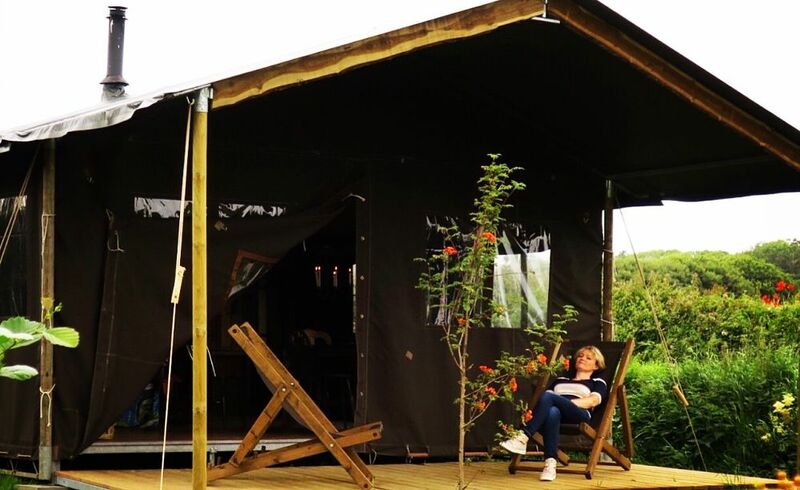 This tour includes many destinations for wildlife lovers including the chance to go whale watching (July – December) and visit many National Parks. Marvel at Tierra del Fuego, the gateway to Antartica and the icy Los Glaciares National Park. Believe it or not you will have the opportunity to try a sailing safari through the Canal Sur. Witness the immense icebergs that come off the Upsala Glacier and be amazed at the 130 meter high Spegazzini Glacier before crossing the border into Chile. The stunning scenery keeps coming as you approach the Andean mountain range with glaciers, waterfalls and lakes a plenty. You will finish off this spectacular journey in one of South America’s largest cities, Santiago de Chile. Price from €2199 includes all flights, accommodation, transfers, excursions and entrance fees as per itinerary and a local English speaking guide. Please note this self-guided tour departs daily from September through to April where the weather in Patagonia is at its best. Argentina and Chile are two countries that showcase how wonderful, yet diverse, South America is, and this small group tour (maximum 16 travellers), is just the right way to experience them. 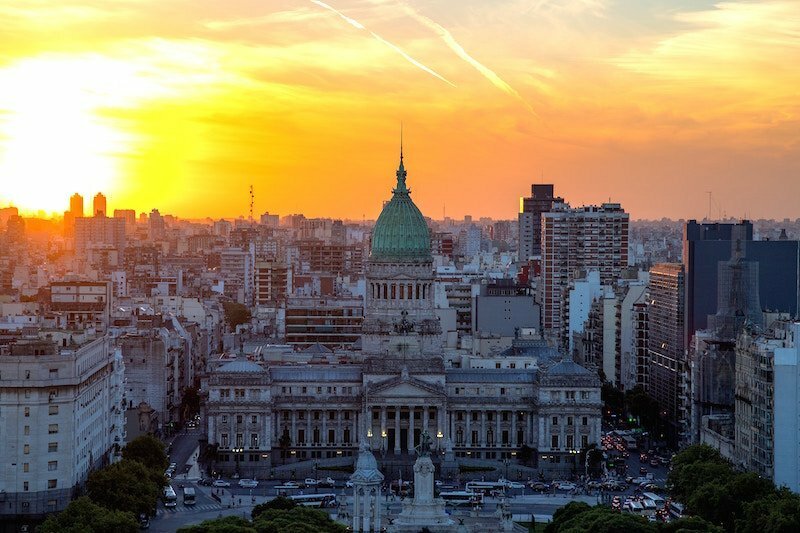 Your journey starts in the vibrant city of Buenos Aires where you will learn how to Tango in one of the most authentic Tango Houses in the city – an interesting start to the trip! 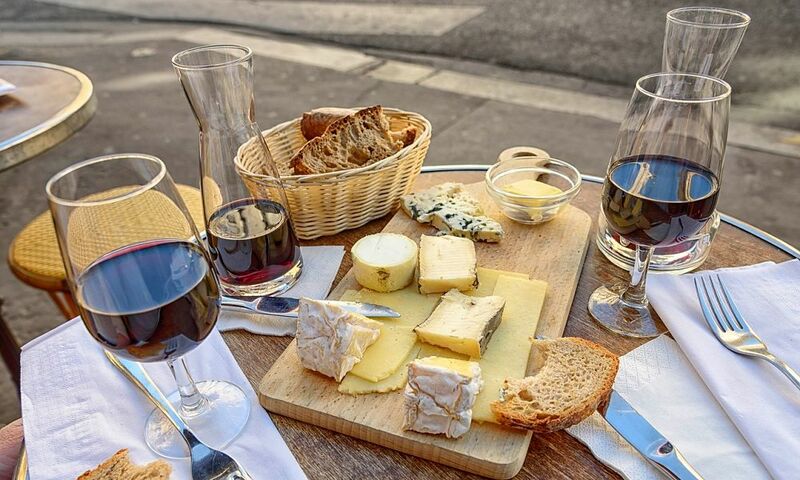 For those who are not light on their feet, you can opt for some wine tasting instead . Enjoy a city tour discovering all the highlights including an Argentinian culinary experience. You will then fly to Ushuaia, where you will explore the dramatic Tierra del Fuego National Park. Watch colonies of Gentoo Penguins on Martillo Island before flying to El Calafate*. 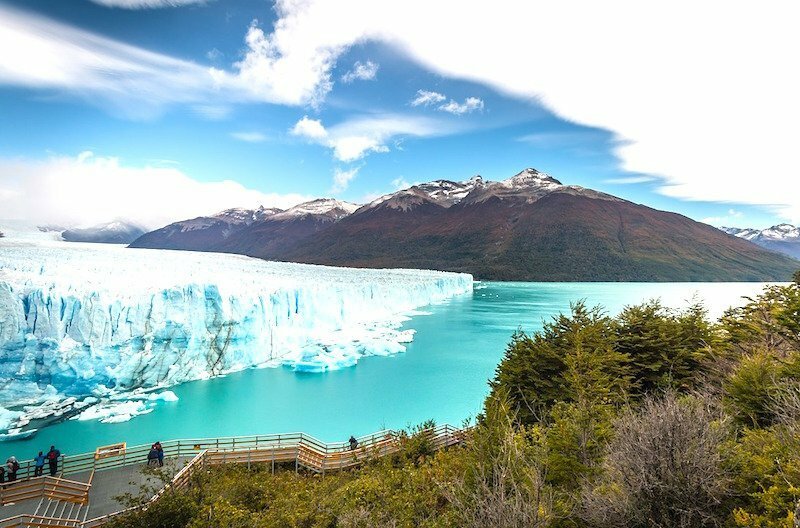 Tour the Perito Moreno Glacier where huge ice blocks fall into the lake each day and marvel at the stunning scenery as you drive through the National Park Los Glaciares. Your next stop is the Torres Del Paine National Park, where you will discover pristine lakes, waterfalls, glaciers and snow capped mountains inside this protected area at the ‘end of the world’. Your tour culminates in Santiago de Chile where you will get a chance to explore this city of contrasts with an immersive half-day tour. Price from €3739 includes all flights (excluding flights from Ushuaia to El Calafate and to Santiago de Chile), accommodation, transfers, boat trips, trains, excursions as per itinerary, entrance fees, a local English speaking guide, 7 breakfasts, 1 dinner. 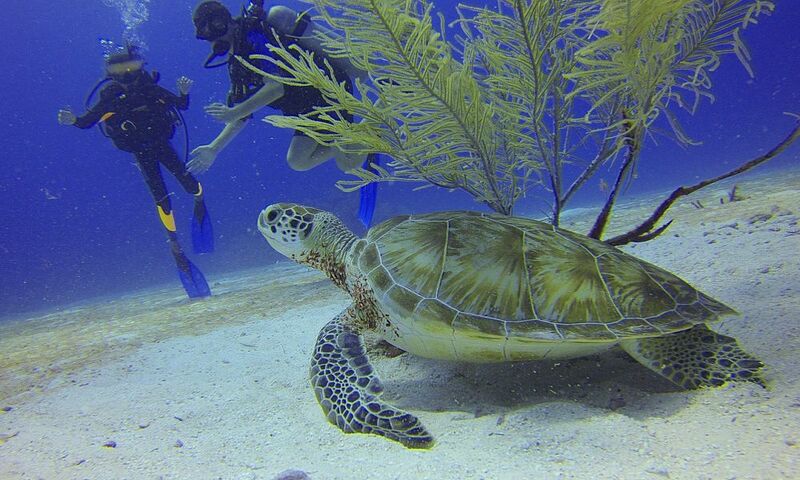 The ultimate trip for wildlife enthusiasts, this magnificent journey features lots of hiking, snorkelling, sailing and adrenaline-fuelled activities, so it is ideal for adventurous travellers. This journey starts and ends in Quito, where you will have the chance to explore one of South America’s most beautiful cities, before embarking on a magical journey to the Galapagos Islands. Swim with sea lions, sea turtles, manta rays and maybe even a Galapagos Shark along many boat trips, observing the incredible wildlife as you sail. You can also enjoy some beach time in the National Park or climb to the top of Frigatebird Hill for spectacular views of the bay. You will venture to Isabela Island where you will visit the Giant Tortoise Breeding Centre, see flamingos in their natural habitat and enjoy kayaking. This might seem hard to follow but a trip to an isolated islet to witness hundreds of marine iguanas at a nesting site, might to the trick. You will be staying on Isla Isabela, which is renowned for it’s glorious sunsets. Your last day on the island includes a long hike to the active Sierra Negra Volcano – not for the faint hearted, but a great accomplishment for those who can master it. You will then transfer by private speedboat to Santa Cruz and enjoy a traditional Ecuadorian lunch. The following morning you will hike to Tortuga Bay beach and hopefully spot some more wildlife along the way. It’s time to leave the Galapagos to enjoy the vibrant city of Guayaquil and its stunning Pacific beaches, before driving to the UNESCO World Heritage town of Cuenca. Visit the valley town of Vilcabamba to witness it’s natural wonders as well as the Amazonian rainforest, before flying to Otavalo to shop at its famous craft markets. Price from €4639 includes all flights, accommodation, transfers, boat trips, trains, excursions & entrance fees as per itinerary, a local English speaking guide, 13 breakfasts, 5 lunches, 1 dinner. 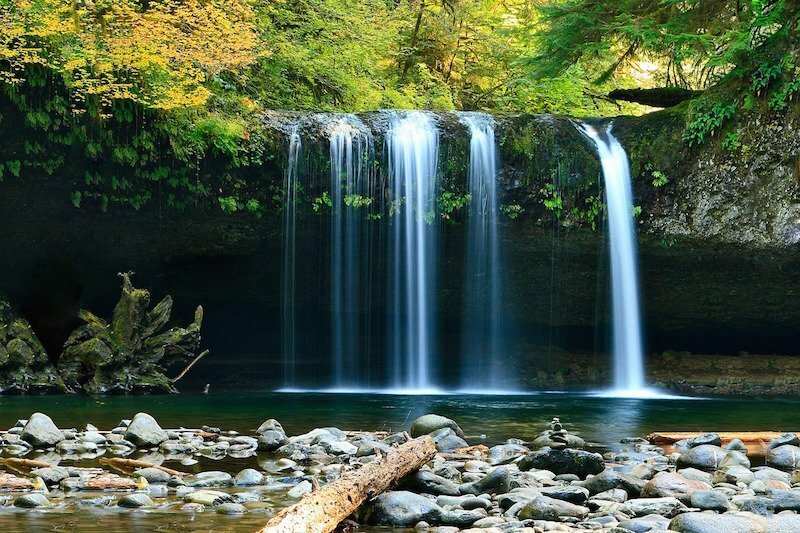 This epic adventure over twenty-three nights, is definitely a trip of a lifetime! 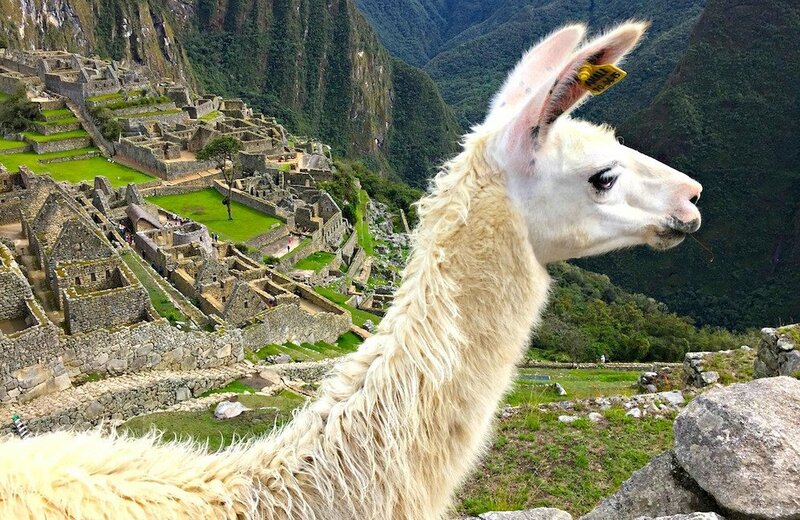 Trek the Inca Trail to see Machu Picchu, swim with extraordinary mammals in the Galapagos Islands, spend two days in the Amazon rainforest and explore some of South America’s greatest cities – have I convinced you yet? This trip does require a certain level of fitness as you traverse through Peru, Bolivia and Equador. After an overnight stay and a city tour of Quito, one of South America’s most attractive cities, you will set off for your first taste of the Galapagos Islands. Swim with sea lions, sea turtles, manta rays and maybe even a Galapagos Shark along many boat trips, observing incredible wildlife as you sail. You can also enjoy some beach time in the National Park or climb to the top of Frigatebird Hill for spectacular views of the bay. You will venture to Isabela Island where you will visit the Giant Tortoise Breeding Centre and see flamingos in their natural habitat. 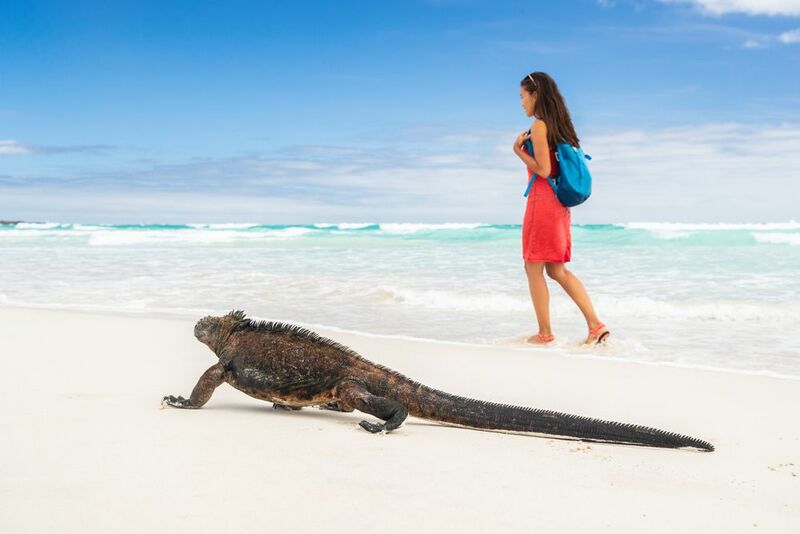 You will also witness hundreds of marine iguanas at a nesting site, on a remote islet. You will be staying on Isla Isabela, which is renowned for it’s glorious sunsets. Your last day on the island includes a long hike to the active Sierra Negra Volcano. You will then transfer by boat to Santa Cruz where you will visit the Charles Darwin Research Station before enjoying a traditional Ecuadorian lunch. Enjoy a hike to Tortuga Bay Beach and try kayaking before returning to Quito the following day. You will them fly to Cusco where you can explore this charming town and visit the spectacular Sacred Valley, before you start the Inca Trail, an amazing experience in its own right. You can choose to hike the Inca Trail or take the train depending on taste and fitness levels. Regardless of what option you take, you can expect breathtaking views of Machu Picchu, one of the world’s greatest wonders. 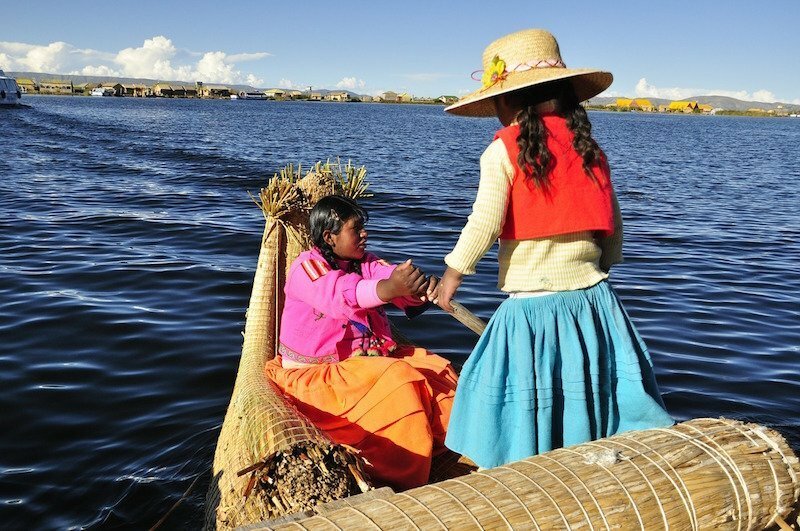 Just when you think it can’t get any better you will travel to Puno on the shores of Lake Titicaca. Marvel at the magnificent views and take a tour of the lake before stopping off in some of the floating islands. Witness locals practice ancient Andean traditions and gain valuable insight into daily life, while overnighting in Homestays, one of which is a primitive mud brick house. As you wave goodbye to Peru, you will cross the border into Bolivia for the last portion of your tour, which culminates in the capital, La Paz. 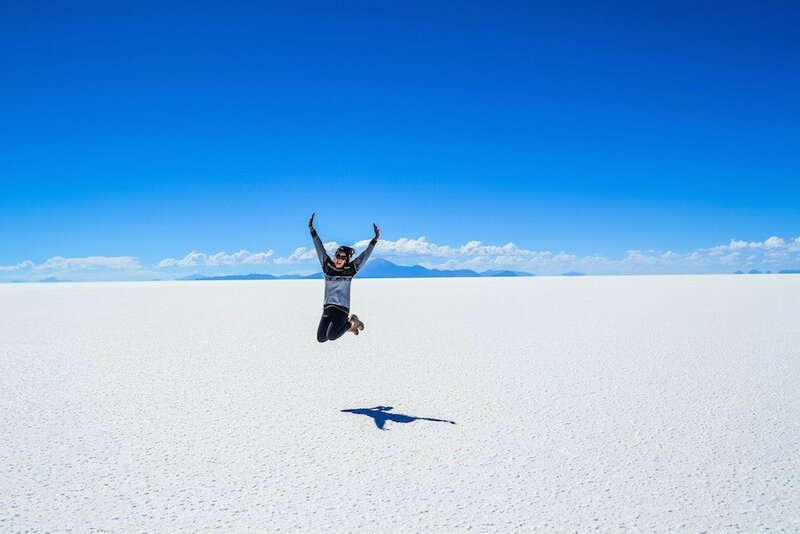 You can opt to extend this epic journey even further by adding on some time to discover the famous Salt Flats of Uyuni. Price from €5899 includes all flights (except flight from Quito to Lima*), accommodation, transfers, boat trips, train, excursions and entrance fees as per itinerary, a local English speaking guide, 21 breakfasts, 11 lunches, 7 dinners. Prices are correct at the time of issue but are subject to change. This post on South American tours was sponsored by Tropical Sky but all views, as always, are my own. 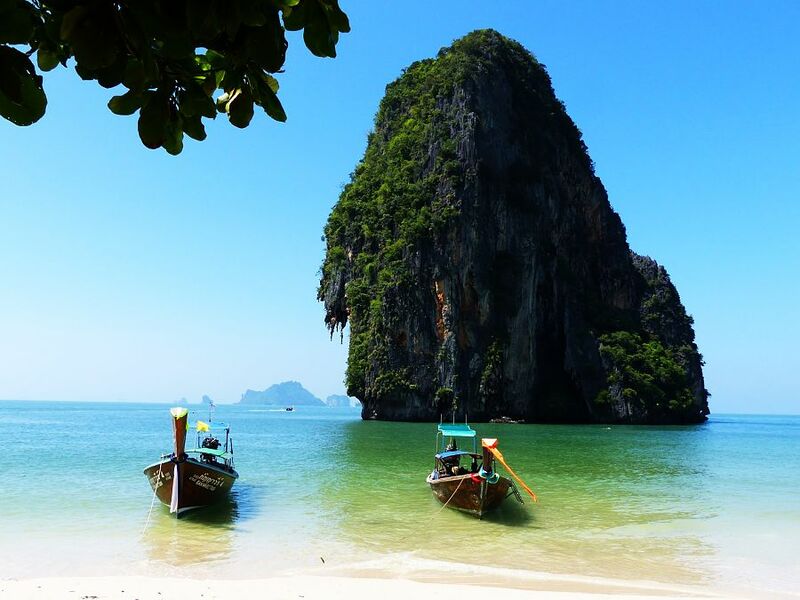 Phuket, Thailand, 9th May, 1 week, Flights & 4* Hotel B&B €839!